Round Living Wreath Form - 16"
Home > LIVING WREATH FORMS - THE BEST ON THE MARKET! > Round Living Wreath Form - 16"
This two part heavy gauge wire living wreath form comes with two piece cocomoss liner ready to fill with soil mix. Each liner has pre cut planting points. More plant points can be easily created. Inside soil cavity measures 3.5" x 3.5". Back side has preformed surface protectors and handy preformed hanger. Each liner has pre cut planting points. More plant points can be easily created. 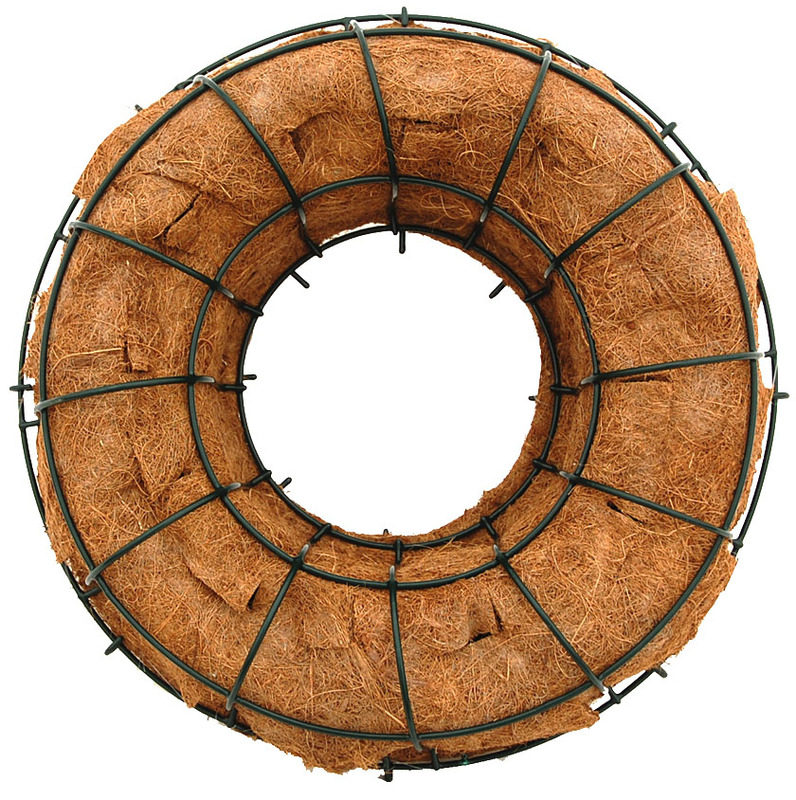 Two piece replacement coco moss liner for two piece wire wreath form.